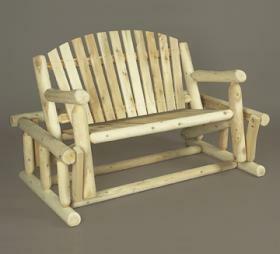 Customers were asking for a natural cedar glider with traditional log styling throughout. Ours is just that. Even the joiner brackets are crafted of solid wood. Our authentic Log Style Glider is shown here with our all-weather fade-resistant floral pattern cushion.